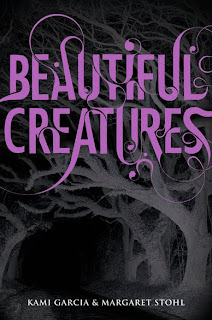 Read Me- Book Blog: Beautiful Creatures by: Kami Garcia and Magaret Stohl! 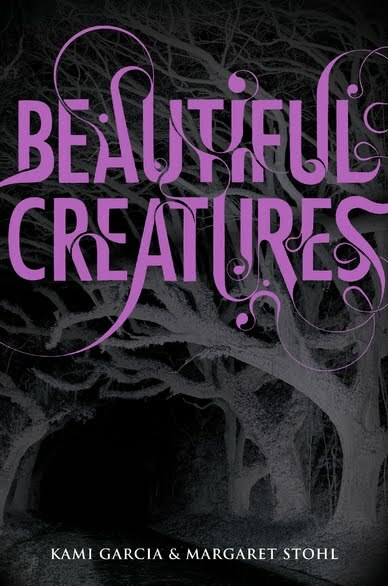 Beautiful Creatures by: Kami Garcia and Magaret Stohl! Ethan Wates family lived in Gatlin, in the Carolinas, for a long time, in fact before the Civil War. Since his mother passed away in spring and his father turned into a recluse, he is alone, except for Amma Treadeau. She and her family have been looking after Ethan’s family for ages. Ammas family is tarot card readers. Ethan has these weird dreams that keep on repeating themselves, about a girl who is falling. NOTHING ever changes in Gatlin, so when Lena Duchannes moves to town, everybody ignores her and tries to avoid her as much as possible. As Ethan sees her, he notices that this particular girl is the one from his so many occurring dreams ... the falling girl. He automatically feels tied to her and wants to know as much as he can about her. When they once find a locket beneath a rock in Green briar, a plantation right next to the Raven wood Manor, her Uncle is Macon Raven wood, it can give those visions. Not only visions, but some from the civil war and the fate of a mysterious woman named Genevieve. Soon Ethan and Lena realize, that the visions parallel their lives in present and that they must save themselves!